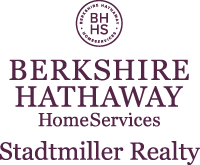 The median home value in Castalia, OH is $110,500 This is lower than the county median home value of $114,000. The national median home value is $185,800. The average price of homes sold in , is $. Approximately 60.85% of Castalia homes are owned, compared to 30.18% rented, while 8.98% are vacant. Castalia real estate listings include condos, townhomes, and single family homes for sale. . Commercial properties are also available. If you see a property Castalia real estate agent to arrange a tour today ! Cute old farmhouse on almost 1.5 acres in Perkins School District! Wood burning fireplace with insert, built in cabinetry, pocket doors and more. Beautiful woodwork and doors throughout. Full attic accessed through pull down ladder, and full, dry basement with shower! New furnace last year. Large pole barn, could house 10+ vehicles. Home is surrounded by farmed land so there are no immediate neighbors. Current owner has lived in and loved this home for almost 55 years but has decided that it's time to give someone else the chance to love it as she has. Come see if quiet, country living is for you! POLAR BEAR COUNTRY!! A SUPER SUPER clean home awaits for the next owner! Quality craftsmanship with updated kitchen and bathrooms completed in 2015/2016. This multi-level home sits on nearly an acre of land with a large outbuilding! The kitchen is beautiful with upgraded cabinetry, granite counter tops, ceramic tile flooring and backsplash. Upgraded newer stainless steel appliances are all included. The main floor bath has surrounding tile work with a walk in shower. The master bedroom is spacious with an adjoining master bath, providing dual sinks. The open floor plan is very inviting and a great space for entertaining. The lower level has a walk out entrance and a wood burning stove for alternative heat. This home is equipped with an efficient heat pump furnace, SO NO large propane bills are a bonus to owning this home! The oversized attached garage is extremely clean with plenty of cabinets and counter space for extra storage. Everything you need and ready to move right in! Quality all the way! One time owner. Pride of home ownership shows here. This SUPER CLEAN home spares no expense AND includes a 20x24 constructed workshop with electric & heat. The attached 2.5 car garage is super clean with hot/cold water, drywall & sealed flooring! The open floor concept has a wonderful kitchen layout with an island and prep sink AND a separate snack bar. The living space includes 4/5 bedrooms, 2 full baths, living room & family rooms and a lower level basement. Enjoy the outdoors with a grand 20x40 inground pool and a large patio that's perfect for entertaining. The electric retractable sun setter is included. A gas line has been installed for grilling, so no need for switching out the cost of propane tanks! Many recent updates includes roof, lighting, pool liner and amenities. Extra pool pump included. Plenty of storage inside and out. Nothings been spared to the details that make life easier to enjoy in this wonderful home! Must see Home ! !,Pine Trees, nicely landscaped, patio, full finished basement! An Immaculate Home, built with precision by quality workmanship and material, a must see Home!!! Pine trees, nicely landscaped , Big back patio,Full finished basement, Great room, many more extras!!! See Broker s Remarks!! Motivated sellers !!! Priced to sell! 4 bedroom ranch home with 2 car attached garage and a huge 2 story storage barn! All on ample almost half acre lot. Centrally located near the schools! Check out this Spacious Castalia Ranch on a great 1.38 Acre Lot. Features include a Huge living room, Open concept kitchen in addition to a Formal Dining room. There are 4 large Bedrooms all with closet organizers. The Master suite offers a private bathroom with spa tub and large walk-in closet. There is a handy laundry/mud room just off the 2 car garage. A cozy Sun room and deck in the rear completes the package. The carpet is original but other updates will make up for that!! This home is A Must See!!! POSSIBILITIES ARE ENDLESS WITH THIS HOME! This home includes two parcels of property. One vacant lot of 1.78 acres to the west side of the home. The residence sits on 1.0 acres. Combined acreage is 2.78. Th property is affordable with spacious rooms and natural woodwork and hardwood floors! Much potential awaits for that new home owner! You have the option of an eat-in kitchen and a formal dining room. The built-in bunk beds can be easily removed. The large enclosed porch is a three season room and a great feature for extra living space. This property can only be FINANCED as a conventional REHAB purchase at this time. Property is being SOLD AS IS. Seller is willing to consider a short term land contract purchase with 10% approximate down non refundable. Meticulously clean and cared for. Nice large living room, 2 closets in the master bedroom. Breakfast bar in the kitchen. Newer furnace, A/C, and hot water tank. Roof is only 5 years old. Bilco doors to the basement. Great shed in the back for additional storage. Adjacent lot parcel #33-00109.000 is included. Tax reflects a homestead exemption of $213.87. Room sizes, dates, and sq. ft. are approximate.